Several pieces made of "ghost nets" by the people of Erub are now in Vancouver at the Museum of Anthropology. On the island of Erub, between Australia and Papua New Guinea, artists craft colourful, lively sculptures. 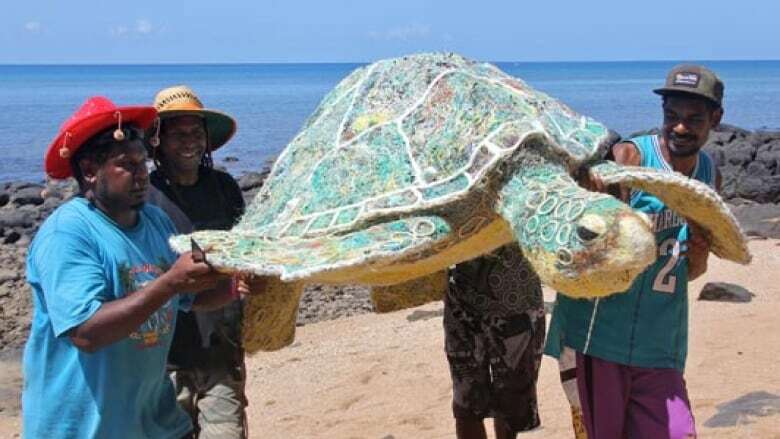 They depict marine animals that live around the remote Pacific island, and the material the art is made from is also from the ocean: discarded fishing nets, also known as "ghost nets." The artists are trying to raise awareness of the number of ghost nets clogging the world's oceans and the sea life they kill. Several of those pieces are now in Vancouver at the Museum of Anthropology. "They're sea people. The sea is their world and it's so important to them. These are the very animals that are being killed so this is their world being destroyed," museum curator Carol Mayer told On The Coast guest host Angela Sterritt. "Art is at the vanguard of all protests and the people of Erub have been making these things and they're having a global impact." 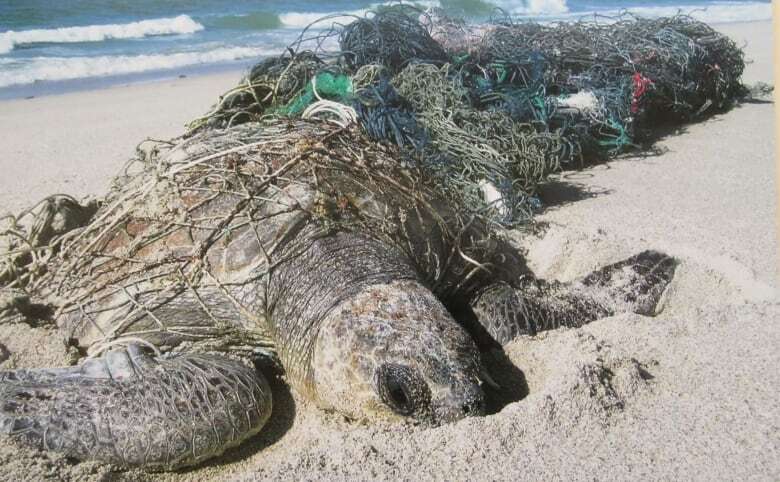 Mayer describes ghost nets as "lethal and almost invisible." They make up a large portion of the debris in the Great Pacific Garbage Patch — which includes more than a trillion pieces of ocean trash — and entangle and kill all manner of creatures. The animals killed by the nets like sea turtles, seals, squid and jellyfish inspire the form of the art created on Erub. The woven sculptures are also important from an economic standpoint. The sale of them is important to the incomes of people on Erub. The Museum of Anthropology has the sculptures on display already and they will be exhibited on an ongoing basis.